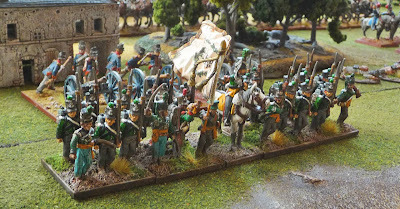 Field Battalion Grubenhagen fielded 643 men and officers at Waterloo. 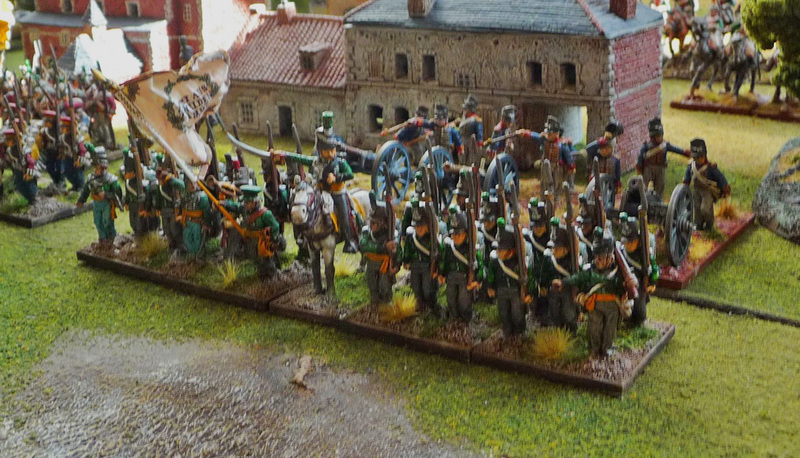 A unit like this is what makes this brigade, some variation is always necessary and it was nice to paint some green rather than red. Lovely Perry figures as usual. 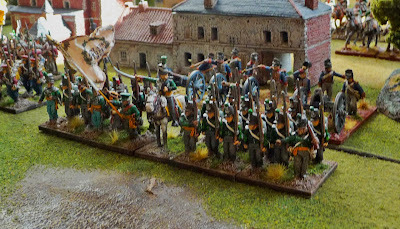 I had half of them painted about a year ago and I have just recently complete the other 12 as well as the mounted battalion officer. 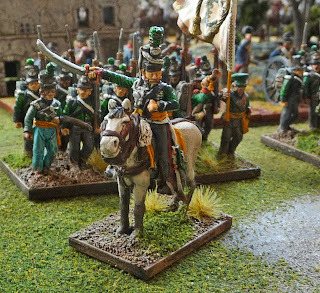 The mounted light officers from Perry are some of the nicest figures I have seen and are a joy to paint. As usual, I took some liberties with the uniform, but nothing major. Next up is the final battalion, the FB Lueneberg, will not get to these though until mid October. 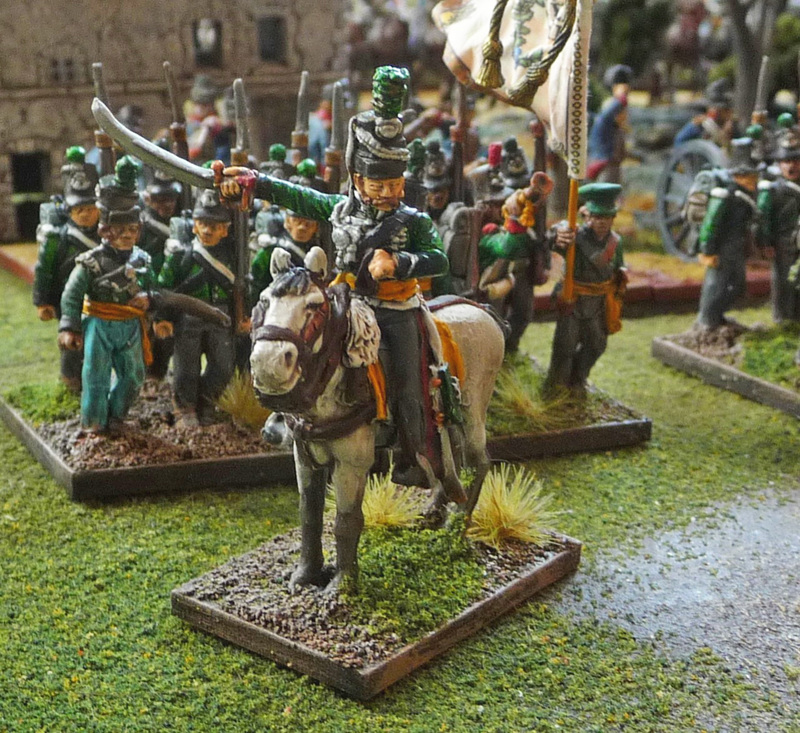 The 1st Hanoverian Brigade will not be finished, however, until these fantastic figures become available. Well I am off to Newfoundland for my annual salmon fishing trip now. Wish me tight lines. Really lovely Battalion. Looking forward to what's next on your list. Excellent work, John! Best of luck on your fishing trip. Great work. I really like the greens you used for them!